T he last printing of WWII MEMORIAL: Jewel of the Mall is in the warehouse and ready to ship. Beginning today, both the WWII MEMORIAL and DC PHOTO BOOK books will be priced at $20.00 apiece in cases of twenty books ($400.00) and $24.95 plus shipping for singles. 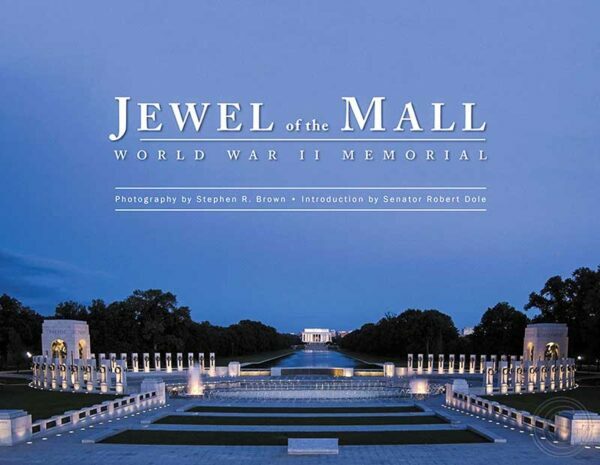 When this printing is sold out, WWII MEMORIAL: Jewel of the Mall. will not be reprinted and will only be available as an eBook. The eBooks can be used on tablets, home computers and can be projected in community settings. The DC PHOTO BOOK will be updated and continue to be produced. You can order through the website or email me at the studio. I want to thank everyone for their support. It has been a great pleasure to be able to substantially discount some 100,000 plus books to Honor Flight hubs and sell another 60,000 through other outlets. I cannot financially keep two books going and as the DC PHOTO BOOK has a wider scope and audience. The price increase will pay out the mortgage on the book. I will continue to stay involved with Honor Flight as it transitions to Korea and Vietnam. See you on the Mall. July 12, 2015 | Filed under Blogs.